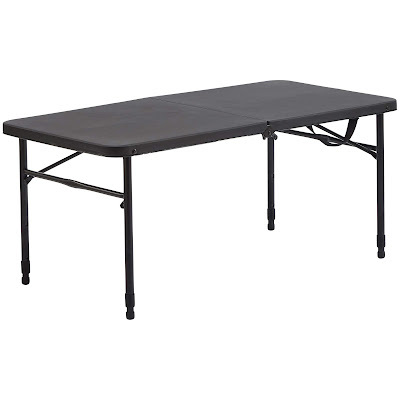 For a limited time, head over to Walmart.com where you can score this Mainstays 40″ Fold-in-Half Plastic Folding Table for only $29.44 (Retail $89.44)! These are awesome tables to have on hand as they fold in half and have a handle making them easily portable. The rubber stoppers on the legs grip the floor so it doesn't slide around. You can use them for family game night, garage sales, crafts, and more!